We had leftover chicken and a craving for pizza. 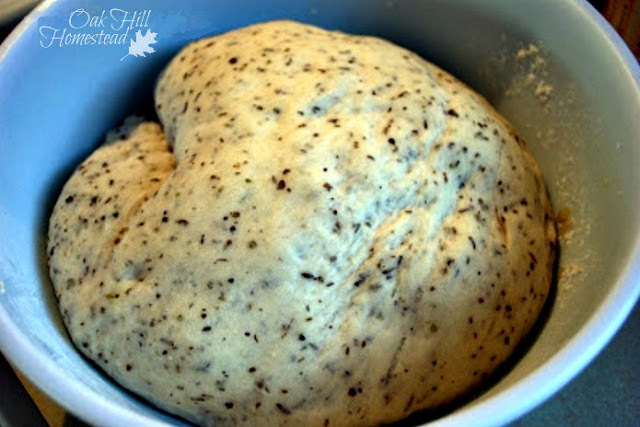 I pulled out one of my homemade bread machine mixes and poured it into the bread machine's pan along with water, yeast and oil. Into the machine it went, but it made a weird clunking noise when I turned it on. I turned it off, reset it, turned it back on... several times... but it still clunked. The machine itself seemed to be working, but the pan's machine works weren't working. I tried lubricating it with vegetable oil, but the paddle that mixes the bread wasn't turning. Meanwhile tonight's dinner was sitting in the non-working bread machine pan. Ok, I told myself, I used to make bread by hand all the time years ago. 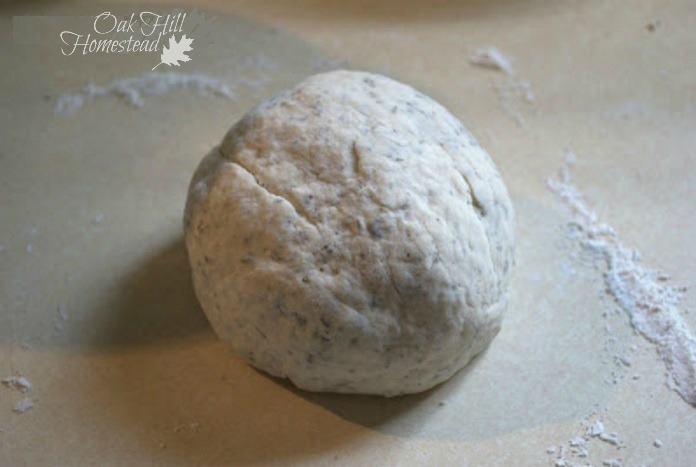 Now I use the bread machine, but only on the Dough cycle and only to save my wrists some pain. I can do this, no problem. So I mixed it by hand, kneaded it, and put it in a greased bowl in the warmed oven with a prayer. After an hour it had risen just like it should, and it looked and smelled really good. After kneading the dough again I let it rest for 15 minutes, then rolled it out into a rectangle to fit my cookie sheet. 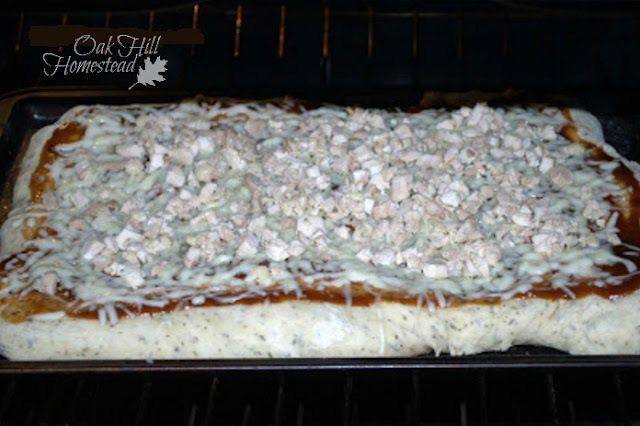 Back into the slightly-warm oven to rise a bit while I shredded the mozzerella cheese and chopped the cooked chicken. 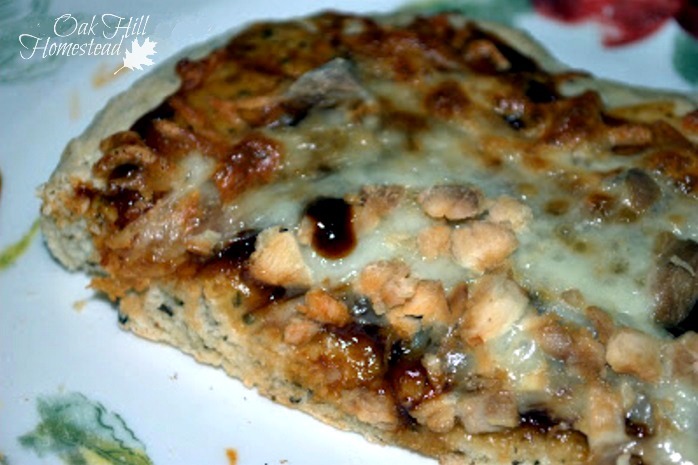 We love pizza with BBQ sauce so I spread some on top and added the cheese and the chicken. Sometimes I also use red onions and/or bacon but I didn't have any today. Into the oven it went at 350° for about 25 minutes. I popped some garlic bread into the oven and made a quick salad, and dinner was served. Delicious! Sometimes it's a good thing to have your plans thwarted so you can practice an old skill. Thank you, Tammy. 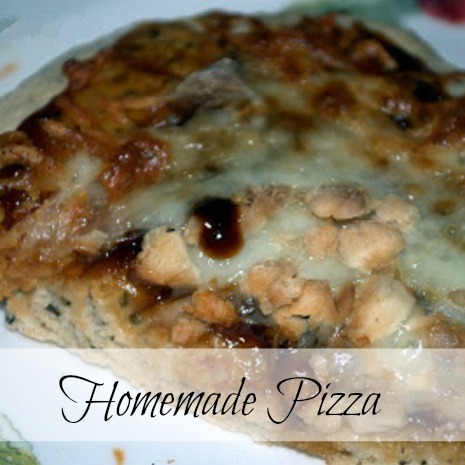 Homemade pizza is delicious, isn't it?! It's funny how we get used to using machines for things we used to do by hand. I'm glad your pizza turned out so well. It certainly looks delicious! I'm just thinking how long it's been since I kneaded bread - maybe I need to give my bread machine a rest too! Thank you for bringing this post to the Hearth and Soul Hop, Kathi. Exactly, April! I'm thankful that I had this opportunity to knead the dough and practice an old but unused skill. We need to remember to do that once in awhile, right?